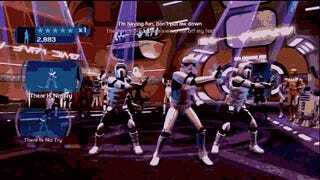 The dancing in Star Wars: Kinect is admittedly quite silly to say the least. But you don't need to chalk this latest Star Wars-branded product up to a scar on your childhood memories. 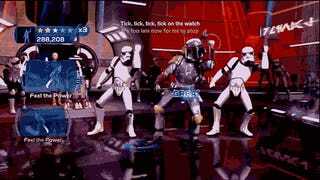 Instead, let's celebrate the sheer ridiculousness that is the Star Wars parody dance moves and songs. 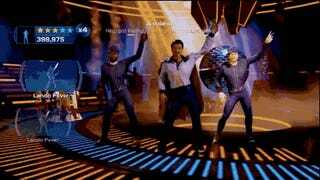 But apparently a lot of die-hard Star Wars fans don't appreciate seeing the likes of stormtroopers and Boba Fett dancing like they're trying to make it on Dancing With The Stars. We're talking about watching bounty hunters do the "wookie hug" here, after all. That said, how hilarious do these gifs look? And imagine dropping one of these on your friend's lap the next time they go on about the treachery that has been done to a favorite franchise. The look of horror on their face after showing them Boba Fett shimmying about is totally worth whatever backlash you get for it. 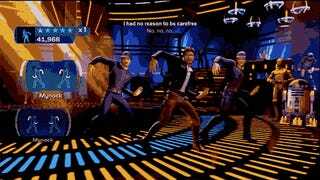 This truly has to be the next Rickroll trolling tactic.